You’ve only got one job in Bloodborne The Card Game, and it’s quite simple, really: kill or be killed. And in that regard, it’s a triumph for award-winning game designer Eric M Lang (Blood Rage, X-Com, Arcadia Quest. 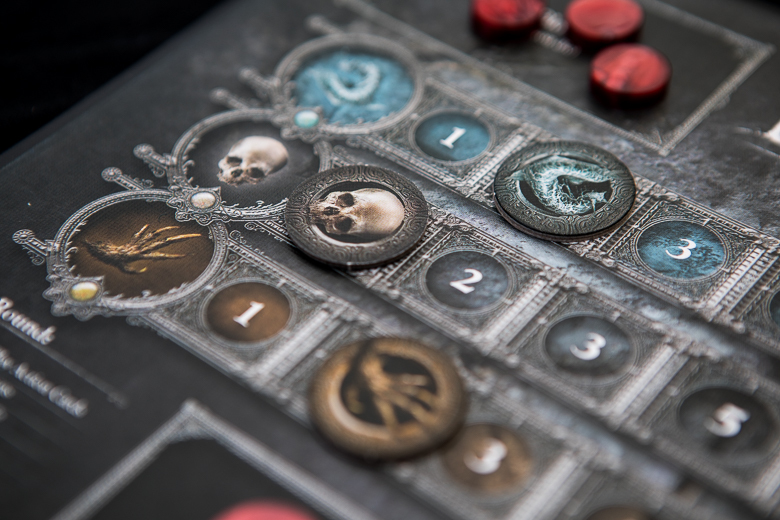 In adapting From Software’s original video game, the tabletop version expertly evokes its forbear’s bloodthirsty atmosphere and design. We’re big fans of From Software’s video games. We particularly love the way they combine innovative game design, obtuse storytelling and challenging mechanics. This will come as no surprise to anyone who’s read our Dark Souls The Card Game review. But whereas Steamforged Games created a cooperative deck-builder that replicates the original’s sense of fear and exploration, Lang’s adaptation takes a different approach. 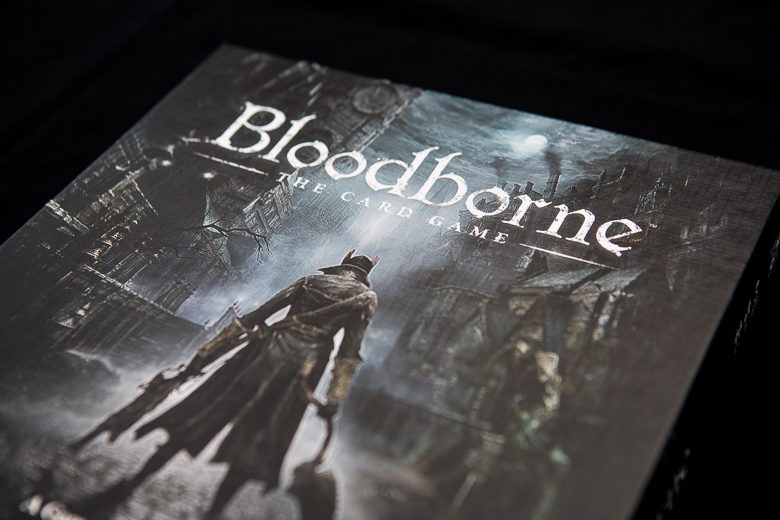 Bloodborne The Card Game instead captures the best elements of the PVP and co-op experiences Fromsoft’s Grand Guignol masterpiece. Figuratively speaking, let me lay my cards on the table. I’m a whole-hearted fan of the Bloodborne video game. In my opinion, it’s not only one of the greatest video games of all time, but also a piece of art in itself. The unrelenting action-based gameplay, sensational (and horrifying) monsters and unbearably bleak atmosphere combine together to create an unforgettable world dripping with blood and tension. What elevates it above other games is the narrative and sense of inevitable despair that both unnerves and fascinates you. Its themes – of childbirth, nightmares and loss – are slowly unveiled throughout the game as the night progresses. But despite being scared and repulsed, you’re drawn in to find out what the cause of all this corruption is, intrigued by the sense of discovery and insight into the world. That said, I’d perhaps advise new or expectant parents to avoid it. With all of this in mind, it begs the question: can Bloodborne The Card Game live up to these lofty expectations? And the answer: yes and no. 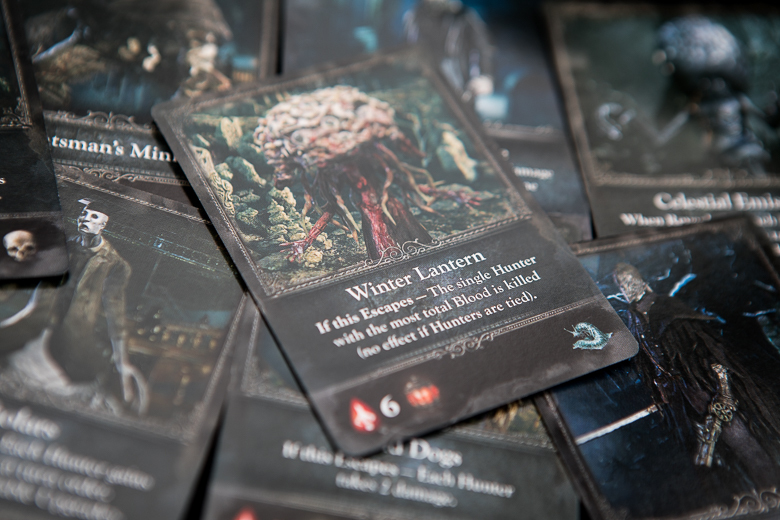 Bloodborne The Card Game is set in the video game’s Chalice Dungeons, a dark labyrinth beneath the decaying city of Yarnham. The city has fallen victim to the ambitions of a group of scholars who let their thirst for knowledge spiral out of control. At Boards and Booze, we can empathise with this. Our partners never understand that the beer we drink is research for this site either. The procedurally generated nature of the Chalice dungeons works well as inspiration for the card game. At the game’s outset, players choose a boss, shuffle the two monster decks, and they’re ready to go. Each encounter deck is random, and is essentially the dungeon of monsters that you need to clear. I say clear. I mean, of course, kill. The players’ role is simple; to hunt and kill the monsters you encounter. It’s a simple concept, and works well to allow a fast-paced and easy to learn game. Depending on the number of players, games can take from 45 minutes to an hour and a half to play. But as every self-respecting monster hunter knows, to kill things, you need weapons (unfortunately fists won’t suffice). This is where the deck building comes in. 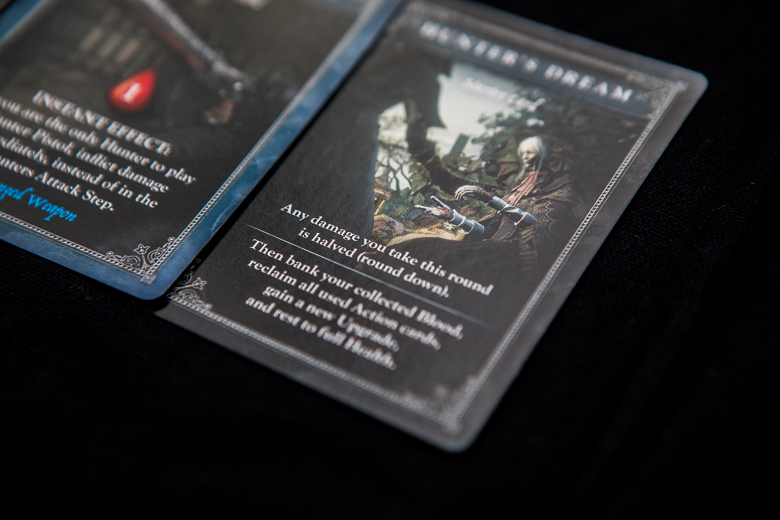 Each player has a starter deck that contains three weapons, a trick weapons card and (importantly) the Hunter’s dream card. Each weapon deals a certain amount of damage (called blood echoes). If a player damages a monster, they take the equivalent number of blood echoes counters and place them on their board. 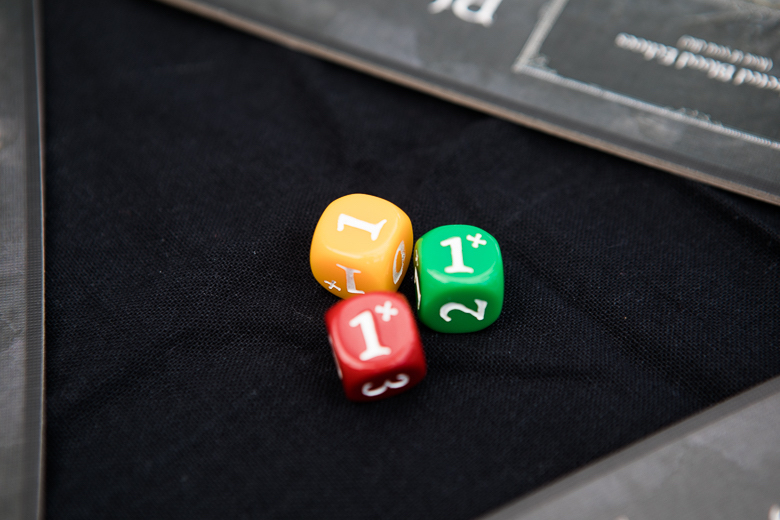 Monsters attack all players each round using one of the three damage dice (the colours represent the toughness of the encounter). Rolling a plus is good, right? Not if you’re on the receiving end of a mauling from Vicar Amelia! It’s probably no great surprise that if your character suffers enough damage, they die – and if that happens, they lose all the blood echoes they’ve not banked. You can retreat to safety, of course. Playing your Hunter’s dream card allows you to refresh your deck, regain your health and bank your blood echoes. Each time you do this you can also add another card to your weapon deck, which is where the more interesting effects come in. Many of the weapons you’ll find there not only damage monsters, but your fellow players too. In this way, the game encourages risk versus reward. Do you keep on fighting to get more blood echoes, or do you retreat to save yourself from the giant rusty cleaver the Executioner is cheerily waving in your direction? The aim of the game is to have the most banked blood echoes – so players are in competition. But you have to work together to defeat the monsters in each encounter. This is where the real fun and strategy of the game comes in. Players don’t show each other the cards that they’re going to play – which means those playing early in the round have the chance to kill the monsters and bank the blood echoes before those at the end of the round get a look in. There are cards that can let you play out of sequence, but these are limited. There’s a real sense of trepidation, thought and anticipation with each round. Sure, players can work together to kill a monster, all agreeing on what to play for the optimum group result. But in reality, this is unlikely to happen. My experience was that the hunters were all out to hunt for themselves. Suspicion and self-interest were prevalent. We died needlessly: our inner beasts came out. Like the videogame, where hunters in other games can leave you messages to ‘help’, you always have to be wary of those who want to lead you astray. Just because a fellow hunter says they will play a particular card doesn’t mean that they will. This cycle of killing, death and suspicion continues until the final boss is defeated. The game is very polished: there are thick card player boards, chunky blood echo counters and high-quality cards where the artwork really stands out. The creatures in particular are lovingly recreated, particularly the final bosses, which are larger and appropriately intimidating. If I had one gripe, it would be that the size of the font for the text is a little small. 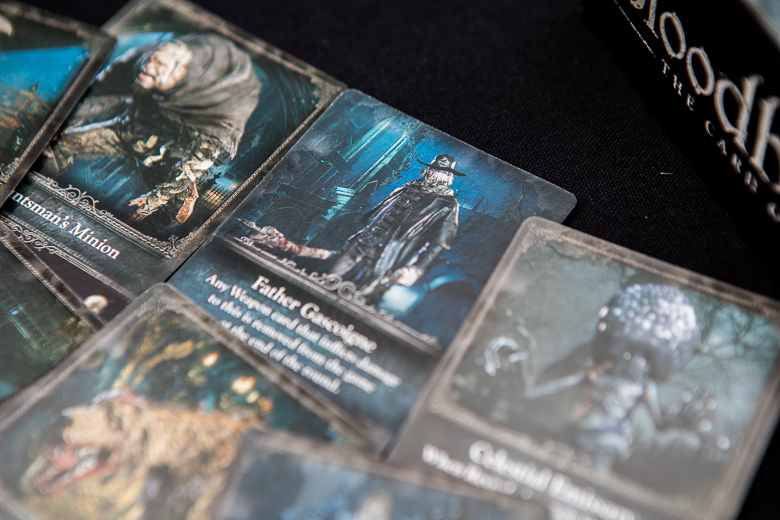 Bloodborne The Card Game captures the mechanics and theme of its counterpart really nicely. The artwork and game design (as you’d expect from its designer) are superb. But it can’t help but feel to me like an opportunity lost. It’s lacking the depth and sense of progression and achievement I want from a Bloodborne game. If I’m honest, I was hoping for more. The Dark Souls card game, going back to that for a second, nails that feeling of peril and risk. 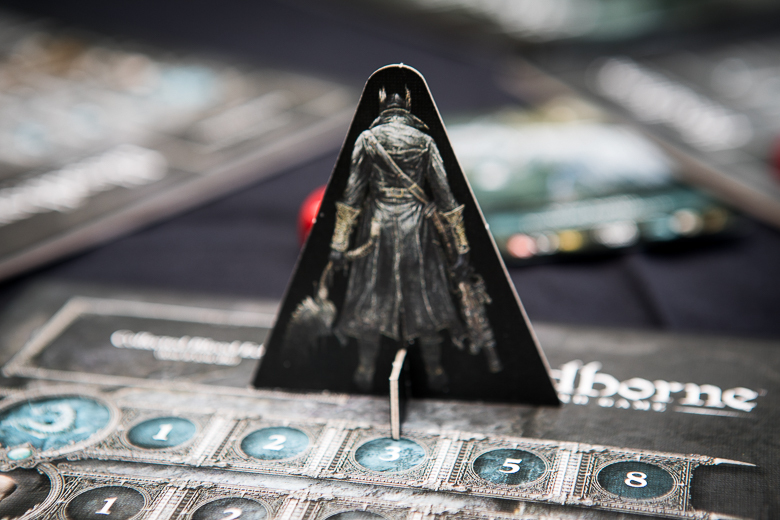 In Bloodborne The Card Game, death doesn’t have the sense of consequence that it should have. That said, an expansion pack called the Hunter’s Nightmare has recently been released that apparently rectifies this issue. At less than £20 ($25), it would seem to offer great value. 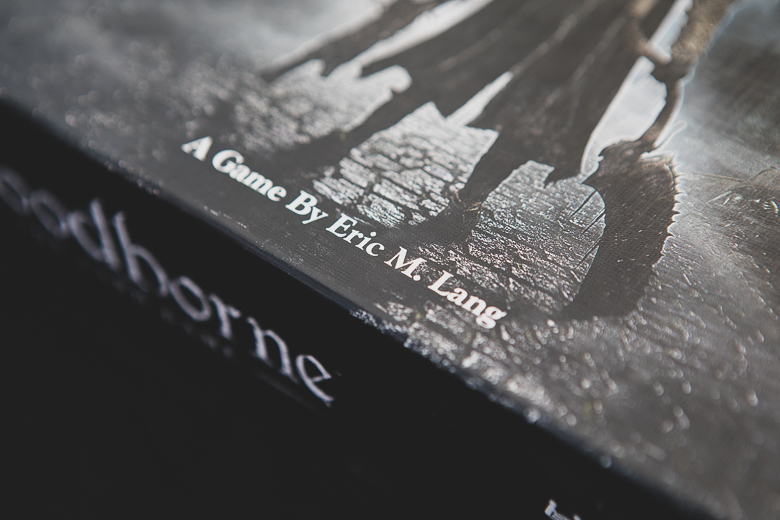 And in more positive news Lang has announced that a Kickstarter for Bloodborne The Board Game is due to kick off in early 2019. If he builds on the promise the card game has shown, we’re in for a real treat. In all fairness, this theme of man’s bestial inner nature comes across when you play Bloodborne The Card Game. The sense of self-interest and preservation leads players to become ruthless in their quest for victory. Slight reservations aside, Eric M Lang and Cool Mini or Not have created a darkly entertaining game here. It’s quick to play and offers ample replayability from the off. For the price I would thoroughly recommend it, even if you’re not a fan of the original. But beware: you’ll learn a lot about your fellow player’s true nature if you do.